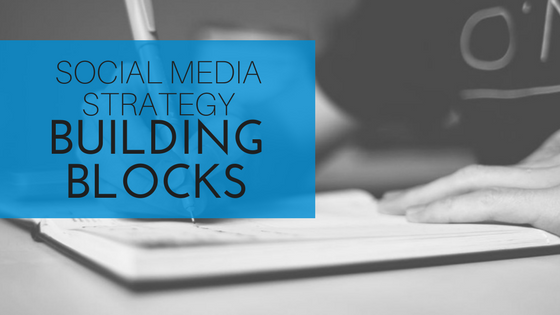 Social media strategy building blocks are basic elements of the strategy that set the stage for success. Casa Larga Vineyards is an award-winning winery in Fairport, NY, established in 1974. Break The Ice Media has worked with the winery for over 7 years, creating and executing strategic marketing plans. The social media strategy, just like the full marketing strategy, is built around business goals and key messages and uses Facebook, Twitter and Instagram. Grassroots efforts on owned and earned channels do most of the heavy lifting in promoting the brand. Facebook grew by 12% and drove over 15,000 people to the winery’s website. Twitter earned 144,700 impressions and 256 mentions. Instagram grew by 84% with an average of 26 likes and 1.3 comments per post. How did we get here? Strategically. 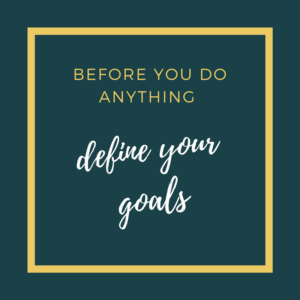 Before you do anything, define your goals. We recommend that this social media strategy building block is the same as your marketing goals, and the same as your business goals. What you post on social media should relate back to what you want to accomplish. For example, Casa Larga wants to encourage people to visit the winery. In addition to tours and tastings and the wine shop, they organize and host special events like Festivals and Patio Parties that are fun and bring people to their business. Then with marketing and social media, we promote those messages and bring people in the door. The message is the most strategic part of all this planning and posting. Casa Larga has special events throughout the year as well as seasonal messages and year-round messaging that are all tied to their business goals. Fun posts are part of a good social media strategy, too. It’s not all about sales. But sales messages can be fun (especially at a winery). Look at your full year for your business. What are you promoting throughout the year in different seasons and year-round? 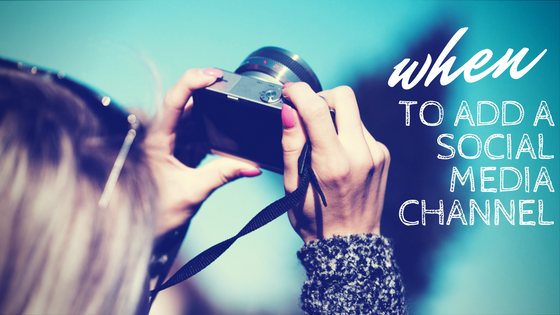 Are you supporting those promotions with your social media strategy? “How often should I post on social media?” That’s a tricky question. It depends on which channels you are using, how big they are in terms of followers and how much time you have. Define the social channels you can realistically handle as well as a realistic frequency for those channels in your social media strategy building blocks. Twitter is the easiest – feel free to post several times every day, but be sure to post at least 3 times every week. Instagram is pretty simple as well, if you are short on time, 1 post per week is absolutely fine. We actually had 43 posts on the winery’s Instagram in 2016 and still had fantastic growth. Using hashtags is key, and we were careful to post when we had something really cool or fun. You can share your Instagram post to Twitter and Facebook as well to get three birds with one stone! 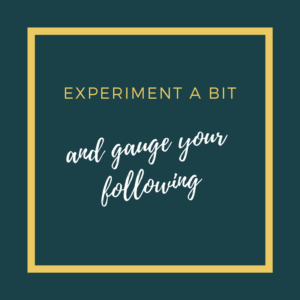 Facebook is the most nuanced when it comes to posting frequency, so you need to experiment a bit and gauge your following. I see a lot of misleading information around this topic because I work with smaller businesses (not Nike or Coca-Cola size). I’m also working with travel, tourism and retail businesses that are not equipped to post 5 times per day! The Facebook algorithm would also punish a smaller page for posting that often. We advise clients to post 3-5 times per week. A few years ago I noticed that since Casa Larga has thousands of likes on the page and enough relevant content, we could post daily. Now they have over 10,000 likes on the Facebook page and the posting works well. But 2 posts per day rarely works out well. Learn more: Wondering how to write a social media post? Who are you talking to? This information is easy to find in the Insights tab on Facebook. Are they mostly men or women? Do you have specialized messages just for a certain market segment? It’s OK to post about everything on your social media channels, but keep in mind who you are talking to. For example, Casa Larga is a wedding venue and wants to attract couples to have their wedding at the winery. While we can advertise specifically to engaged couples and in wedding publications, we also keep in mind that often family and friends are helping plan weddings. And that could be anyone who likes the Facebook page. So we post about winery weddings, but only a couple times per month. Most of our messages are about events that anyone can attend and the wine, of course. 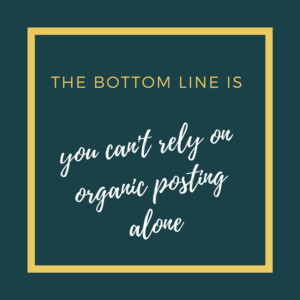 The Facebook algorithm is a mysterious, ever-changing beast but the bottom line is that you can’t rely on organic (meaning unpaid) posting alone. It doesn’t have to be a lot of money, but include Facebook ads as one of your social media strategy building blocks. Again, look at your messaging themes for the year to decide what to give a little extra promotion. We used 5 main themes to structure our Facebook advertising for the winery: Classes & Events, Weddings, Wine Dinners, Purple Foot Festival and Post Engagements. The advertising resulted in 753 event responses, 15,223 post engagements and 9,048 link clicks. It also accounted for 548 page likes, without any ads for the Page Likes objective. That is over 50% of the link clicks and page likes generated for Facebook for the entire year. Learn more: If you want to know how to advertise on Facebook, dig in here. Are you ready to build your social media marketing strategy? We’d love to help!